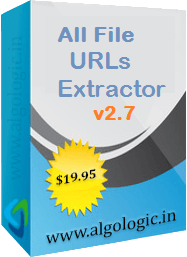 All File URLs Extractor v2.7 is a best software to extract website URL links from many document files of different formats such as PDF files, Word documents (.doc / .docx), Excel (.xls / .xlsx), Power Point (.ppt / .pptx), RTF, TXT, CSV, DBX, MSF, EML, XML, WebPages and other files from your computer in single process. All extracted URL links can be saved in Excel / csv / txt files. All File URLs Extractor v2.7 is available for Windows operating system. 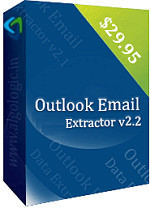 Outlook Email Address Extractor is a best software to extract email addresses from Microsoft Outlook. It extracts all email addresses from subject, sender, receiver and email body. It supports Outlook 2003, 2007, 2010, 2013 and 2016. Extract email addresses list from Mozilla Thunderbird. 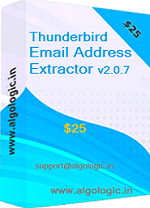 It extracts all email addresses from extracts email addresses from sender, recipients, cc, bcc, subject and body of Thunderbird emails. Extracted email addresses can be saved in excel / csv / txt files. 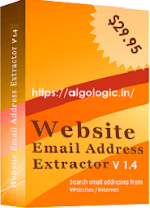 A Web Email Addresses Extractor to extract email addresses from websites from the given list of websites and internal links found recursively upto defined level. It is best email marketing software tool to grab valid email addresses list.